"When you're not standard, you choose Mileeva." This listing is for a triple stack of men's bracelets. A little bold color is added to this men's triple stack! Faith meets boldness. 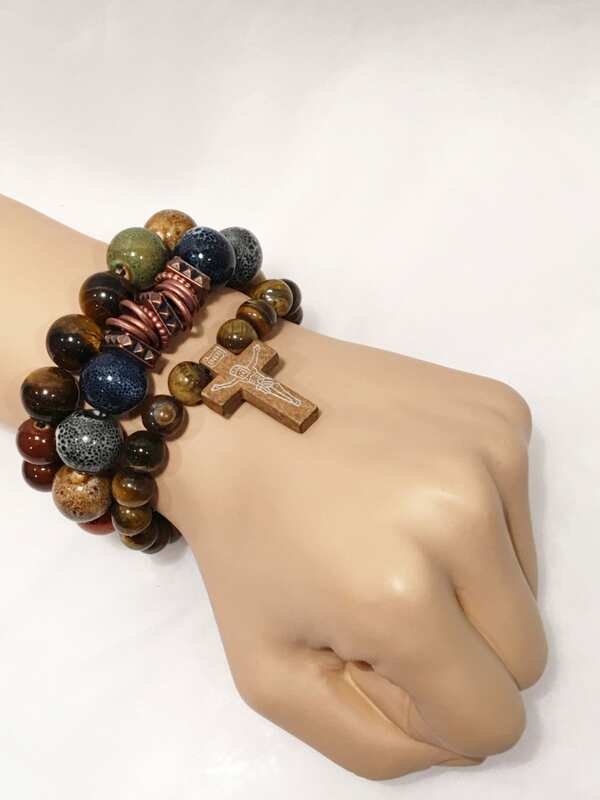 The first bracelet is created using Tiger Eye beads and features an etched wooden cross. 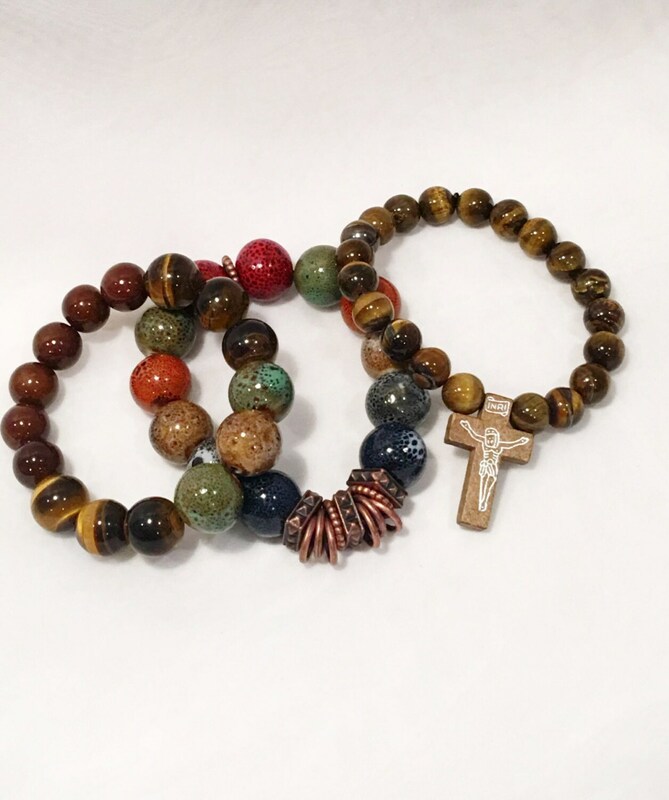 The second bracelet is created with large colorful ceramic beads and features complimenting copper accents. 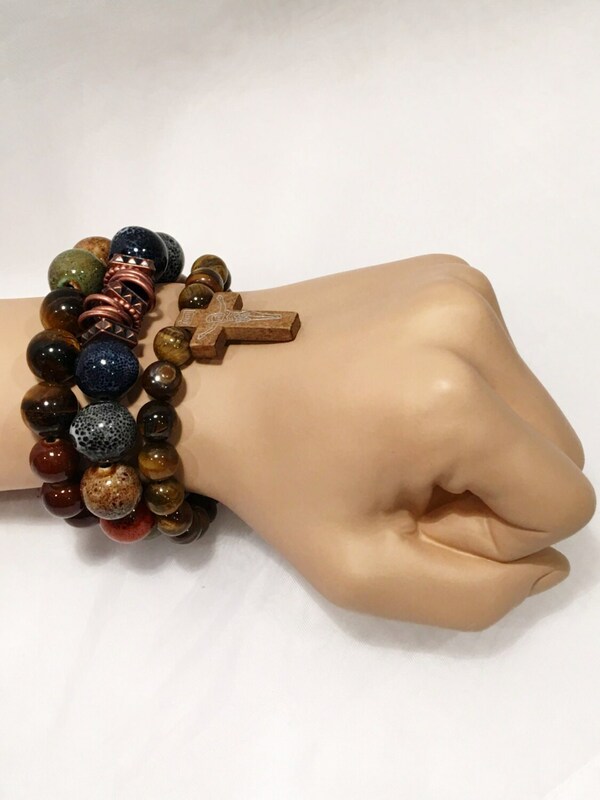 The third bracelet features larger marbled Tiger Eye beads, wood beads and colorful ceramic beads. Bracelets are 7" in diameter on strong, stretch nylon cord. Beads have always been my passion and I do my best to create designs that bring out their natural beauty and energy. Each beaded bracelet is handcrafted with love and care to ensure you are receiving a product that feels personalized just for you. Every beaded bracelet has a distinct personality of its own and is as unique as it's creator. Thank you for perusing my online shop!